Muluo Hang ladies exquisite fashion ladies, grasp the pulse of today's fashion, melting the cultural spirit of the East and West, in a romantic style interpretation of modern urban ladies and ladies, fashion, rural style romantic feelings. Since the company was founded in 2002, after eight years of temperament sharpening, in the fierce competition in the market come to the fore, Mu Bian has become a well-known brands of women and even the Chinese women in Hangzhou. Looking back in the past, Mu Bili experienced a leapfrogged development by leaps and bounds, with a small change every year and a drastic change in three years. Looking at the present, Mu Bian products have been sold in 30 provinces and cities nationwide, more than 300 employees, with high-level management, research and development personnel more than 50 people, with more than 5,000 square meters of standard workshop, is a set design, production and sales in One of the clothing brand enterprises. Looking forward to the future, Muobo will be guided by diversified consumer demand, grasp the pulse of fashion, integrate the Eastern and Western cultural spirits, and interpret the modern metropolis ladies and romantic sentiment in a romantic style. Companies adhere to the integrity-based, quality first value concept, relying on the professional mode of operation of the brand and efficient internal management processes, continue to provide customers with stable high-quality, high value-added products and services. Advantages of joining: 1, intelligent management system implies unlimited investment opportunities; 2, sophisticated version, fine workmanship, excellent fabric, high quality 3, professional logistics system, efficient and efficient supply and distribution, to ensure timely flow of terminal products appropriate ; 4, "six policy" image service support. That is unified image, unified publicity, uniform price, unified management, unified distribution, unified service; 5, strict regional division, to avoid disorderly competition in the market erode each other to ensure the maximum benefit of joining; 6, the full assistance of professionals, 7, free store image design, display image design; 8, mature and reliable monopoly management experience, minimize the risk of investment and business. 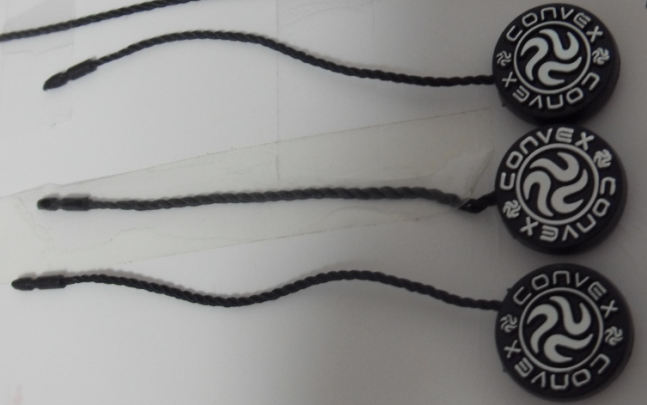 Jewelry Tag is used by the jewelry and show the brand of jewelry. They add the logo and brand name in the two faces of tags. They usually used one cord and need the cord very short, such as 6.5cm. We can meet the short length cord. It can be divided plastic jewelry tag,metal jewelry tag,small jewelry tag,waxing cord jewelry tag.